If you enjoy browsing and shopping at Kawaii, you will love Daiso, the Japanese discount store located on the lower ground floor of Myer Centre Rundle Mall. Almost everything at the store costs only $2.80. 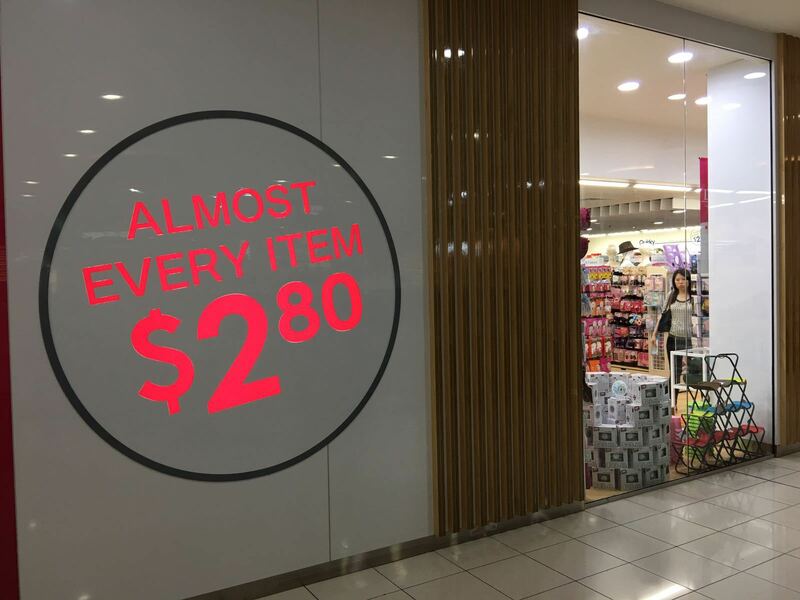 A staff member informed me that any item that doesn't have a price tag on it costs $2.80. Items that cost more than that will have price tags on them. The words Quirky, Variety, Creative, Uniqueness and Quality are displayed on the walls of the store. These terms are appropriate descriptions of what the store has on offer. There are indeed a huge variety of creative, unique and quirky products. Everything is very nicely packaged, making the whole place look really colourful and a pleasure to wander around in. 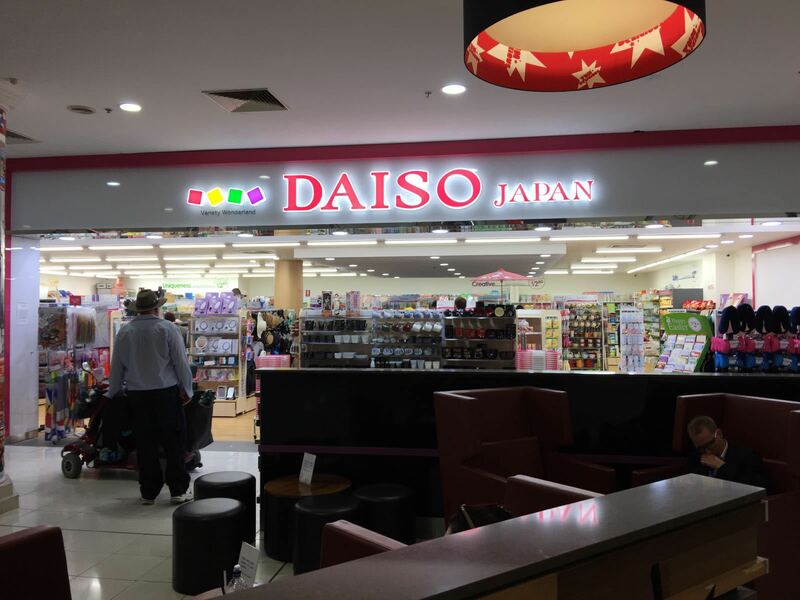 Daiso is a big department store of 'little' things. The shelves are full of packets of food, kitchen utensils, cleaning tools, craft essentials, gardening basics, electrical accessories, beauty and personal care aids, stationery and home décor displays. It is a place for finding something that you cannot find anywhere else, a place to buy something nice and cute to give away, a place to buy something that you need at a cheap price, and also a great place for window shopping.